Texas Hold’em can be a hard poker game to master; however, learning can be a rewarding challenge. In fact, getting to understand Texas Hold'em terms such as “bluffing”, “having position” and “going all-in” are some of the most appealing things about this form of poker. At the start of every hand, each player is dealt two hole (face down) cards. To win, all you have to do is to form the best 5-card hand, using your 2 hole cards along with 5 community cards called the board. The 5 community cards are made up of 3 flop cards, 1 turn card, and 1 river card. In the game, there are 4 betting rounds, and players have the choice of checking, calling, betting, raising or folding after each round. 888poker makes it easy to learn the basic Texas Hold'em rules, using the 8 simple steps below. Bluffing and mind games aside, you'll still have to form the strongest 5-card hand possible to win at showdown. Players can use their two hole cards along with 3 of the 5 community cards (cards dealt in the middle of the table that all players can use), or any mix of 5-cards. When players have the same hand, their other cards or “kickers” come into play. Newbie Tip: Knowing what hand beats what will help you figure out what to do at showdown (when the winner is announced) – whether it's pushing over the top or having to make that tough fold. In Texas Hold’em poker there are three basic table sections you'll need to know. At a 9-handed table, these are Early Position, Middle Position, and Late Position. In Early Position, you have the Small Blind, Big Blind and Under-the-Gun. Next up are the three Middle Position seats. Newbie Tip: In Texas Hold’em, the closer you are to the dealer button, the more hands become playable, and the more you can bluff. All players get two cards dealt face down in the pre-flop round (before the first 3 of five community cards – called the Flop - are dealt). Only one player can act at a time, beginning with the player left of the big blind. That Under-the-Gun player can fold (not play the hand), call (match a prior bet or raise) or raise (increase size of current bet or raise). The action moves clockwise around the table, and each player has the same available options. With no prior raise, the Big Blind can also check. When all players have acted, and the pot is right, the betting round ends. Newbie Tip: Make sure that your PC sound levels are up when playing so that you’ll get sound notifications as well as the flashing table telling you it's your time to act! As soon as the pre-flop betting round ends, the post-flop action begins. It starts with three cards being dealt face up – called the Flop. Betting options and rules are almost exactly the same as pre-flop. Players can check (bet nothing), bet, call, fold or raise – depending on their position and any other action before - with one exception. The first player to act post-flop is the first player with a hand to the left of the dealer. Newbie Tip: It can take a bit of time to know whether to check, bet, call, raise or fold post-flop. But the more flops you see, the sooner you'll get a feel for it. Once all players have had their chance to act post-flop, the next card to be dealt is called the Turn. This round of betting has the same rules and options as the previous ones – players can check, bet, call (if there's a bet), raise (if there's a bet) or fold. Hopefully, you will “turn” one of the hands ranked highly on the chart in Step 2 and are on the way to winning a monster pot. Newbie Tip: The Turn is where your hand is either made or very far behind. You should evaluate where you stand before chasing that river card to win. The next community card dealt out is called the River. In all previous rounds of betting, you had the possibility of improving your hand – but this round is different. The river is the fifth and final of the five cards, but players still have the option to check, bet, call (if there's already a bet), raise (if there's already a bet) or fold. Next up is the most exciting step. We know you can't contain yourself! Newbie Trivia: The River gets its name possibly from Stud poker - a game that was played on the Mississippi River boats in the 1800s. The showdown is one of the tensest and most exciting part of the game. At this stage, if at least two players remain, the winner must show their hand to win the pot. The player with the strongest hand wins - per the rankings listed in Step 2. With no more betting rounds left, that player with the best five-card hand scoops the lot! Let's hope that's you. Newbie Tip: When playing live in a casino, never release your hand at showdown until the chips are shipped to you. It's the only proof that you have the winner! Ready for a New Round? After showdown, the hand ends. But the good news is that another poker hand will be dealt straight away! The show must go on in Texas Hold’em poker, and that’s precisely what happens after someone has won a hand. Luckily, you get another chance to win with a brand-new set of hole cards. And with every hand you play, you'll gain more experience and more skill in the game! Hey, you never know; the next hand could be the one that rakes you in a big pot! Knowing the number of betting rounds in Texas Hold'em poker, isn't all there is to the game. It is essential to understand that there are three major betting structures. This is the most common form of Texas Hold'em where players can bet or raise up to all of their chips (known as going all-in). The minimum raise must equal previous bet or raise – unless the raiser has fewer chips than that and would be put all-in. If another player wants to raise again (called a 3bet), they must raise at least the amount of the previous raise. It can get a little confusing and intimidating, but in online poker the numbers are all worked out for you. In, Pot Limit Hold'em, players may bet or raise any amount over the minimum raise, up to the current pot size (known as betting pot). A pot raise amount is the current size of the pot, plus the current bet amount, plus your call of that bet amount. For example, if the pot is $100 and the current bet is $25, the pot raise would be $100 (pot size) + $25 (bet) + $25 (call) = $150. You can raise to that amount, plus an additional $25 for your call, making a total of $175. Luckily for you, when playing pot limit games online, the calculations are done automatically, and you can raise pot at the click of a button! Texas Hold'em and poker strategy go hand-in-hand. Although, you don't have to be a maths whizz to be good at the game. Playing Within Your Bankroll: Always play within your limits. As your poker skill gets better, your bankroll will likely follow suit, and you can move up levels. Understanding Position: Players “in position” act last, post flop. This means that they can take control of the betting by having the most information on players acting before them. Learning which hands to play in and out of position is a big step in your success. Learning When to Bet, Raise, Fold: Understanding the strength of your hand compared to the community cards will help you determine the best times to check, bet, call, raise, or fold. Reading Your Opponents: The more information you can pick up on your opponents, the more you'll be able to beat them. Study the way they bet, how often and how much, along with their overall style of play. Calculating Poker Odds: Get familiar with terms like pot odds and outs. Having a good grasp of simple poker odds calculations, like the Rule of 4 & 2, will help you make the right (profitable) decisions. Ready to Start Putting all You've Learned into Action? 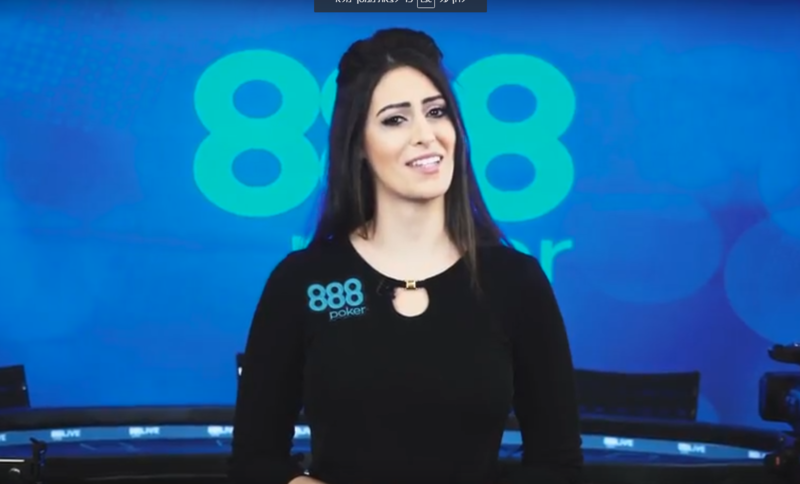 At 888poker, you will find a wide range of Texas Hold'em games – from Multi-Table Tournaments (lots of players on more than one table at the same time) to Sit & Go's (set number of players – usually from 6 to 180 maximum), to Cash Games (real money tables where you can come and go as you please). And, it's as easy as 1-2-3 to download the state-of-the-art poker software and start crushing the tables. 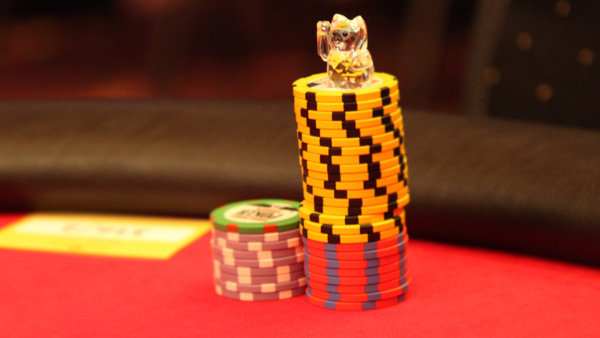 Start with our Beginner Play Money tables and put into practice what you've learned here. You can also play at the Cash Money Tables for nothing, with our No Deposit Bonuses. Or get free entry to events, like the monthly Twitter and Facebook Free Tournaments. 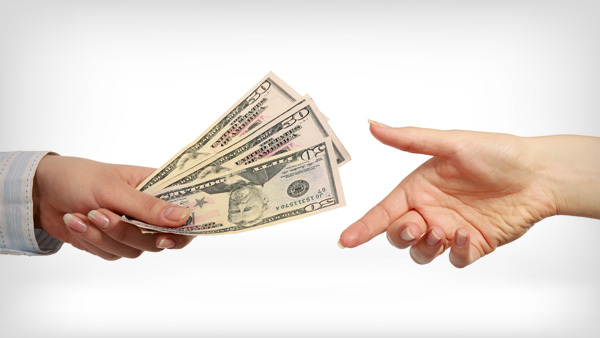 Ready to move up to the real cash money games? New depositing players can take advantage of 888poker's signature Welcome Bonus Package, featuring a deposit bonus of 100% up to $400. 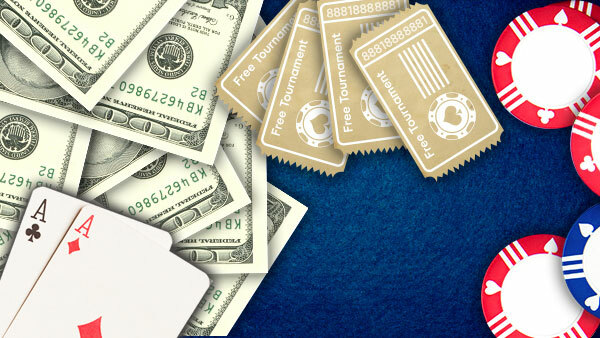 Isn't it time you started playing at 888poker? For the official Texas Hold'em rules to the game, including all terms and conditions, please click here.